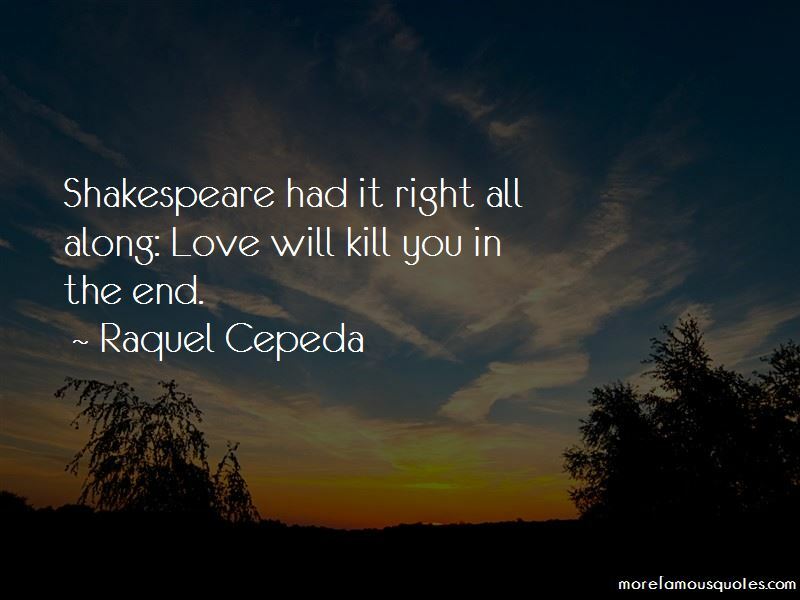 Enjoy the top 48 famous quotes, sayings and quotations by Raquel Cepeda. I have never bought into the idea that blood is thicker than water. Love and respect are meant to be earned from our children, our spouses, our families, and our friends. I guess it all depends on whom you ask and when you ask. Race, I've learned, is in the eye of the beholder. I remember feeling that pieces of me were scattered around the world; I belonged to her, Mother Earth. More than anything, this place feels familiar. I bury my hands in the hot sand and think about the embodiment of memory or, more specifically, our natural ability to carry the past in our bodies and minds. Individually, every grain of sand brushing against my hands represents a story, an experience, and a block for me to build upon for the next generation. I quietly thank this ancestor of mine for surviving the trip so that I could one day return. We travel with the same clan over and over again, from one life to the next, until some ultimate purpose is fulfilled and we no longer need to return. In reality, Eduardo hoped the mask would make him appear vulnerable and self conscious, like a wounded animal these stupid women would fight each other over to mend. The hospital room was as cold as dead skin, the hallway crowded with lost souls and reeking of illness. Paradise is a state of being, more than just the name of a suburb or a home. This is what I know about my parents. 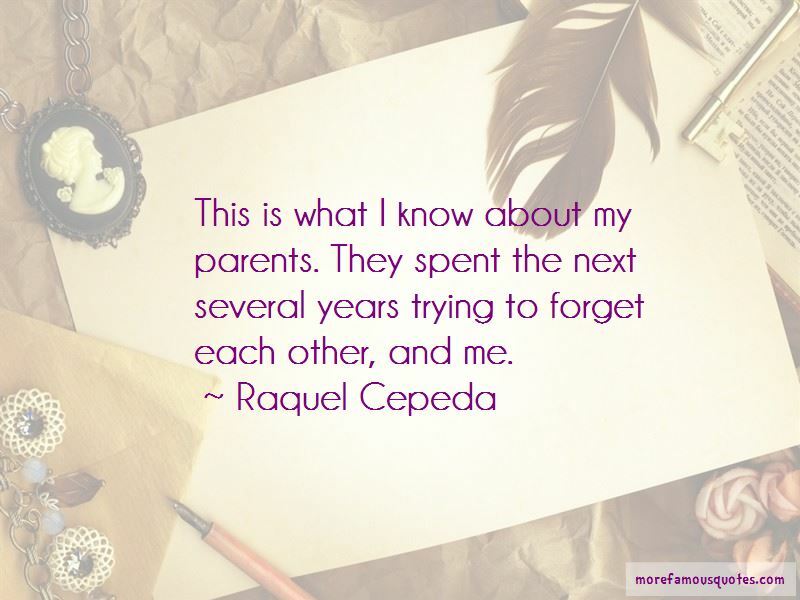 They spent the next several years trying to forget each other, and me. Janet Mock's honest and sometimes searing journey is a rare and important look into la vida liminal, one that she manages to negotiate remarkably well, with grace, humor, and fierce grit. Mock doesn't only redefine what realness means to her, but challenges us to rethink our own perceptions of gender and sexuality, feminism and sisterhood, making this book a transcendent piece of American literature. There are things in our blood that are just naturally passed down to us, whether we want to recognize them or not. The gaping hole in her heart is amplified when she catches a glimpse of the strands of silver hair framing her once young face in the mirror. Hip-hop, this thing we love that loves us back, is our lingua franca. 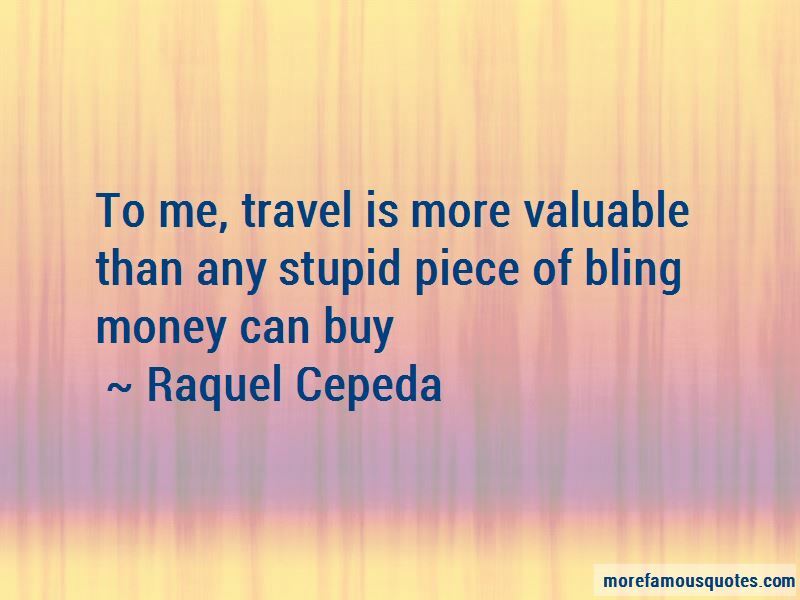 Want to see more pictures of Raquel Cepeda quotes? 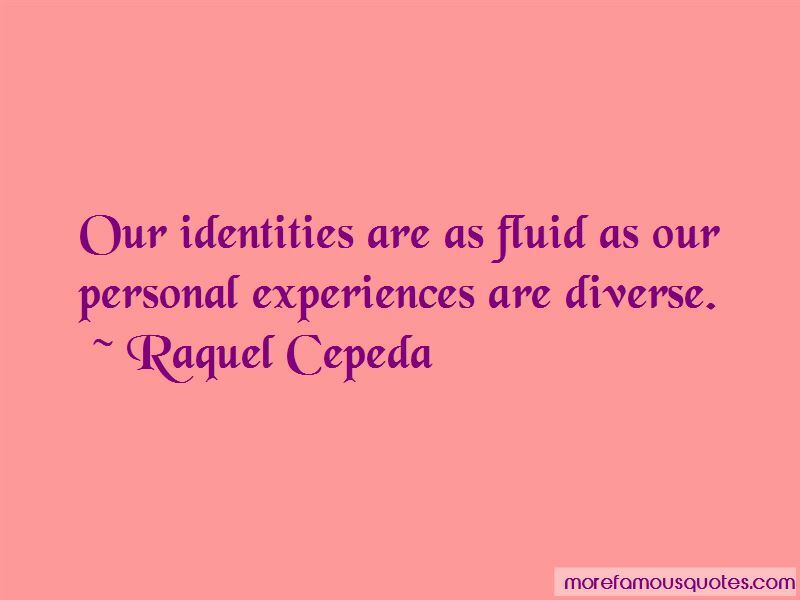 Click on image of Raquel Cepeda quotes to view full size.